It is with great sadness that the family of Donella T. Currie announces her passing, on Monday, March 26, 2018, at the age of 90 years. She is preceded in death by her beloved husband, Andrew D. Currie, Jr.
Ms. Currie will be forever remembered by her great-great-great nephew Dimitri “Dude” Lane and her numerous nieces, nephews and extended family and dear friends. 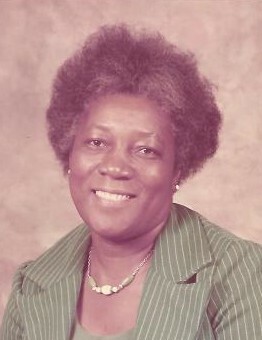 Ms. Currie was a member of Mount Olive United Methodist Church in Lumberton, and worked as a social worker for Robeson County Department of Social Services until her retirement. Her enormous personality, wealth of selflessness and friendly smile will be sorely missed. A Celebration of Ms. Currie’s life will begin with a viewing at 1pm followed by services at 2 pm, on Monday, April 2, at Central & Worley’s Funeral Home, 219 East 3rd Street, Lumberton, with Pastor Bertha Graham officiating. Interment will follow at King’s Cemetery on Great Marsh Church Road in Saint Pauls.